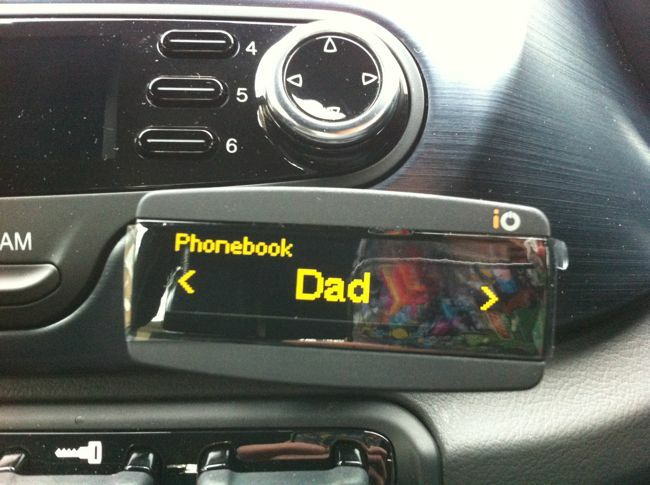 The iO Play2 promises to solve the problem of integrating your phone and music device in your car. Whilst Bluetooth kits and FM transmitters have been on the market for several years now they’ve always been unreliable or difficult to use. They’re certainly never as well integrated as they are in a which comes with connectivity built-in. So that’s the benchmark I will be measuring the iO Play2 against. The iO Play2 is a handsfree car kit and music streaming device for your car. 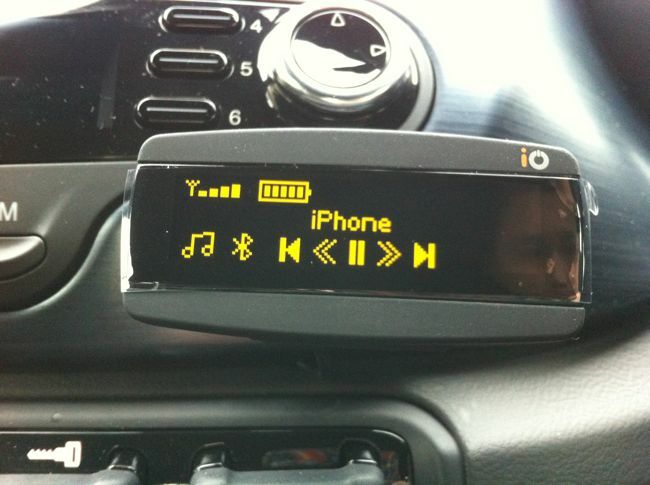 I had the iO Play2 installed by Armour Auto in my Alfa Romeo Giulietta. The Giulietta already has a music and phone system built-in so it allowed for a good comparison between an after-market installation vs. manufacturer fit. If you’ve ever fitted your own in car entertainment system then you’ll probably be comfortable with fitting the iO Play2 but for most car novices you will likely want to get a professional to fit the system as it integrates with both your car speaker and power wiring. The end result is a system that is nearly as well integrated as a car that comes with a kit like this built-in. iO Play2 comes with a controller, display, bluetooth mic and an 180-watt amplifier. In the glovebox you’ll have a 30-pin Apple dock connector and a 3.5mm audio input. iPhone 5 owners will need the Lightning to 30-pin adapter to make it work. The iO Play2 is Apple certified so you won’t experience any compatibility problems or annoying error messages like some kits I’ve used in the past have done. If you’ve got an iPod or iPhone, you can use the dock connector cable to connect to the iO Play2. This gives the added bonus of keeping your phone charged. Alternatively, you can use Bluetooth A2DP for wireless streaming. iO Play2 can also connect up to two phones at the same time – I put this to test recently on a long distance trip where musical tastes varied and we were impressed at how easy it was to flick between music libraries. Once your phone is paired with the iO Play2, it downloads your phonebook. Using the rotary controller you can operate the menu on the separate OLED screen which displays your phonebook and music library. The intuitive control system allows you to navigate to specific tracks or contacts using alphabetical categorisation. The text to speech feature will read out your track listings from your iPod and iPhone so you can keep your eyes on the road. Call quality was one of the best I’d used – better than the manufacturer fitted system. When talking to people using the Giulietta’s Blue&Me, callers often find it difficult to hear me, particularly on the motorway. The iO Play2 on the other hand was able to clear up the background noise and provide clear audio quality. The iO Play2 amplifier gives audio volume a big boost with its 180-watt amplification. However in my Giulietta, it introduced a hissing noise when no music was playing. It’s not a deal breaker since you don’t hear it when your music is playing. It’s clear that the iO Play2 is designed for car owners who don’t already have an integrated bluetooth or music streaming system. For those that have had to make do with a tangle of cables and fiddly gadgets, the iO Play2 might just be the answer you’re looking for. It removes the mess and simplifies the integration of your music and phone devices in one fell swoop. 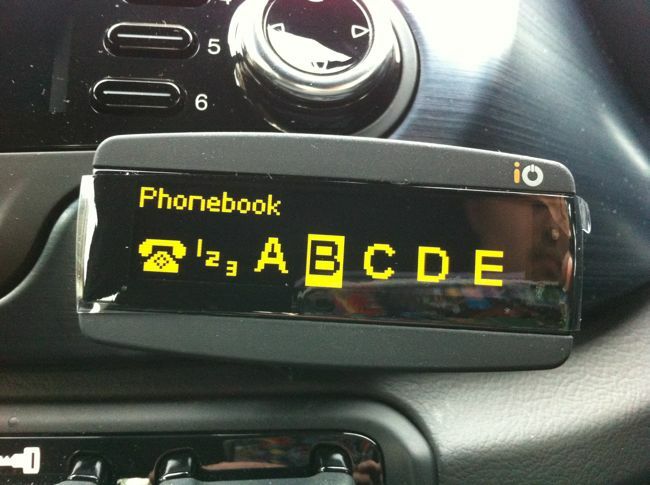 Just had the IO play2 fitted to my 2013 Grand C4 Picasso – all good, but my 4th gen iPod connected via the lead in the glove box is very often not picked up by the IO2 and I have then to muck about unplugging and re-attaching the iPod to try to get the IO2 to recognise it. Still looking online to find out if anyone else has the same problems…so far it looks like it is just me. Typical! Great review thank you for that. We have a full compatibility guide on our website http://www.my-io.com and find a local stockist too. The device doesn’t support the 4th Gen iPod so that may explain why you’re getting some issues. The iO PLAY2 supports the 5th gen iPod onwards and all generations of iPod touch. I have the original iO Play and would like to update to the 2. Anyone know if the installation would be a simple plug-in and swap with my previous version? Hi. 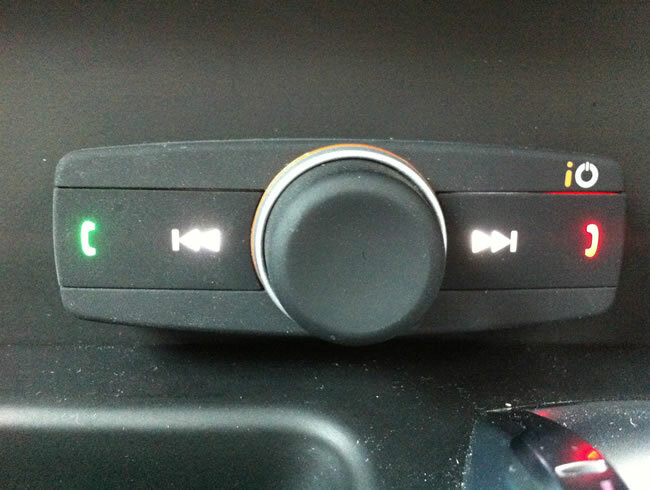 Ive had a play2 fitted to my Volvo V70 but it doesn’t mute the centre speaker in a call or during streaming. Is this correct or have they made an error during installation? I have an io play2 but am in desperate need of an external plug in mic. Does anybody have one spare or to sell asap please ? ?